Halloween, the day when ghostly and ghastly thoughts swirl about like an autumn wind, is 17 days away. 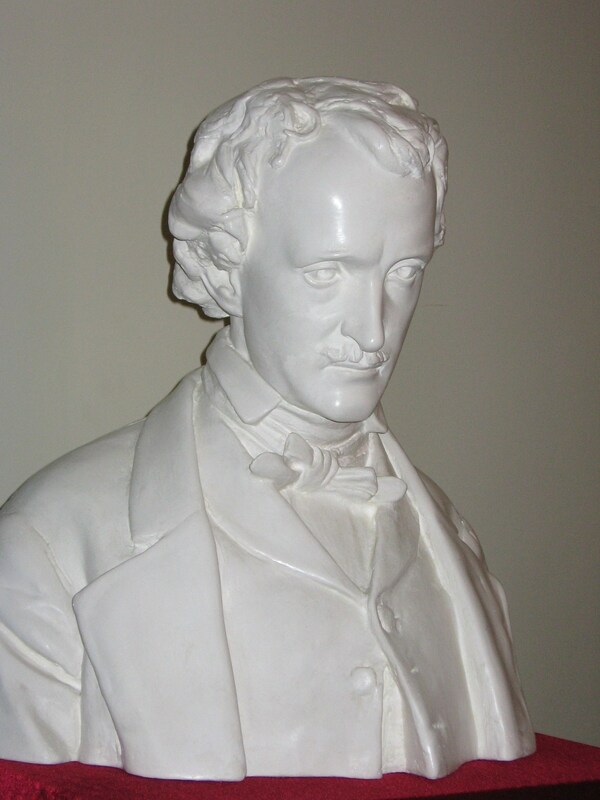 A week ago, October 7th, was the 166th anniversary of Poe’s death in my hometown of Baltimore, Maryland. So naturally, I chose an Edgar Allen Poe quote for today. “The boundaries which divide Life from Death are at best shadowy and vague. Who shall say where the one ends, and where the other begins.” – Edgar Allan Poe in The Premature Burial. What a perfect quote for this pre-Day of the Dead time. In the era of The Walking Dead, Ghost Hunters, Twilight, and other undead delights. 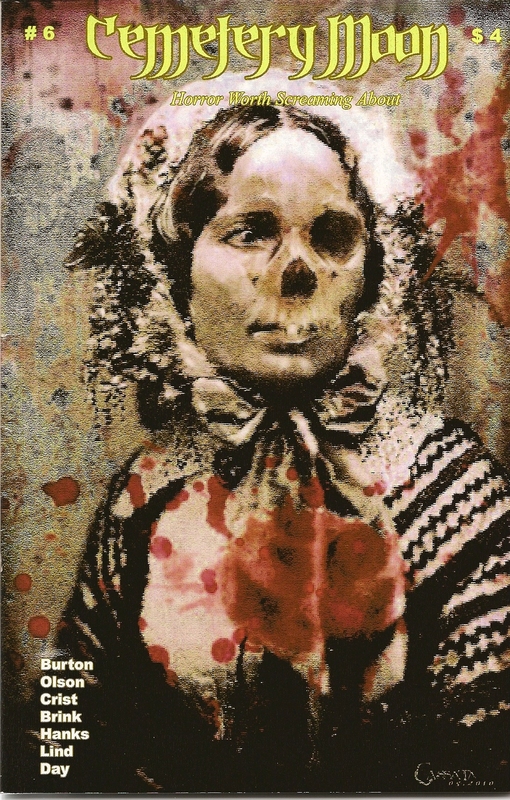 For fans of the undead, two of my zombie-ghost tales are currently available in new books. “The Return of Gunnar Kettilson” can be found in the beautifully-bound Gothic fantasy collection, Chilling Ghost Short Stories from United Kingdom’s Flame Tree Publishing. And from the USA’s Alban Lake Publishing, Potter’s Field 5 – Tales from Unmarked Graves, contains my story “Snowbroth.” (Also available on Kindle). For Poe fans, here are some other EA Poe quotes: 30 Thoughtful Quotes from Edgar Allan Poe. And don’t forget, I’ll be at HallowRead October 23 presenting a workshop on Anthologies at 1 PM, and on October 24 I’ll be participating on various spooky, dark panels. Plus, I’ll be happy to sell and/or sign my books and talk to fans of dark fantasy and horror. I like horror stories that are more about imagination than about blood and guts. Yes, I watch The Walking Dead and its prequel, Fear the Walking Dead, but it’s the anticipation of terrible things which I find scariest – not the actual terrible event. Therefore, I found the 20 mini horror stories in this blog post unsettling (though I must admit, a few were funny): 20 Two Sentence Horror Stories. Enjoy! Though there will always be doubting Thomases and Thomasinas, ghostly sightings, unexplained occurrences, and haunted places are a part of our culture. Cemeteries in particular can feel rather spooky. I came across two sites which list haunted cemeteries: America’s Most Haunted Cemeteries and Most Haunted Cemeteries. 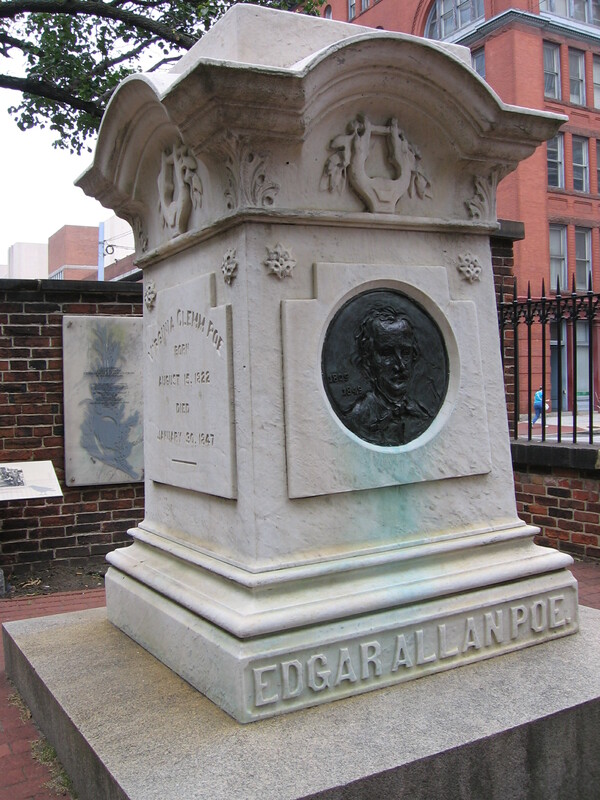 (And it’s no surprise to find Poe’s gravesite on one of the lists). Though I personally find cemeteries quite comforting, and have picniced with family members amongst the tombstones, this is not the case for many people. And it should not be the case for visitors to the graveyard in my Halloween story, “Bad Moon Rising,” from my science fiction/ fantasy/ ghost tale collection, Owl Light. Here’s an excerpt from the beginning of the story. (FYI, it gets spookier by the end – including murder and ghosts). ‘Darleen glanced at the clock hanging over the cash register. It was four minutes after eleven, and the last customer of the evening was still perched on a swivel stool at the luncheon counter eating a slice of pumpkin pie. She finished sopping up the coffee, cider, and cola puddles from the tabletop of the diner booth nearest the door and pulled down the window shades hiding from view the jack-o-lantern, bat, black cat, and owl cut-outs stuck on the storefront glass. Then, she walked in back of the luncheon counter, and slid her pencil and order pad onto the top shelf beside the bins containing extra sugar and artificial sweetener packets. Her feet hurt. “Right, tomorrow night,” the old man replied as he buttoned up his sweater, shuffled out the front door of Raleigh’s Delight. Darleen took off her apron and hung it up on a peg. She checked her make-up in the shiny chrome of the carbonated beverage dispenser. She liked to look at herself in the chrome – the faint crows-feet around her eyes weren’t visible. The mirrors in the ladies’ room made her look thirty. But why shouldn’t they? She was thirty-six. She spotted the diner’s owner, Stan Raleigh, scrubbing the griddle. Darleen liked the fact he didn’t just hire school kids to do all the dirty work. He pitched in, did some of the messy chores, too. “No problem. But there shouldn’t be any trouble, by now the trick-or-treaters are all in bed,” Darleen responded as she reached under the luncheon counter and grabbed her pocketbook. Darleen walked out of Raleigh’s Delight, slammed the front door. Slamming wasn’t optional. The door never locked if you closed it gentle-like. She jiggled the handle, just to double-check. It was locked. She nodded at the cardboard skeleton jitterbugging on the other side of the door’s glass pane, then, turned and tugged the rubberband out of her hair. She wore her hair tied back when waitressing, but when not at work, she loved the silky way it felt against her neck. Darleen hurried down the sidewalk, smiling at the full moon that hung like a dinner plate on the wall of night. The 11:20 bus should be by any minute, and she was eager to get home. She popped a piece of chewing gum in her mouth and looked at her watch: 11:21 pm. She wondered where the bus was. Tonight, she needed to be home on time – she was expecting company. Plus, she’d forgotten to refill her ferret’s bowl of dried kibbles. Not that the ferret was thin. Darleen suspected she had one of the few fat ferrets in the world. Still, she worried that Claude might get into more trouble than usual if she was late coming home. Looking for something fun and spooky to do this weekend? Attend HallowRead. Make sure to stop by and say, “Hi,” to me on Sat. October 25th. I’ll sign my books, plus have a few to sell. Cant’ make it but you’d like to read more of my fiction? Here’s my Amazon author page. And for fellow Walking Dead fans, I couldn’t resist adding another zombie link. Based on this article, living in the Baltimore area, I’m “up-the-creek-without-a-paddle” when the Zombie Apocalypse comes. Many of us have been to “Haunted Houses” at fairs, carnivals or Disney World. For those of you who like Disney’s Haunted Manison, here’s a link to some cool facts about the ride. And here’s a link to a few real haunted houses. 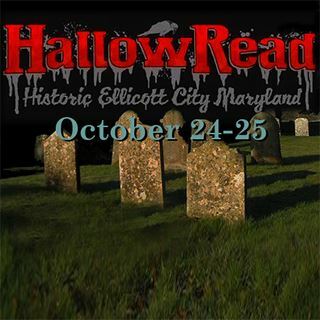 Better yet, visit this year’s HallowRead and visit some haunts on the ghost tour. I’ll be there on Sat., Oct. 25th on panels, etc. ‘The hundred and fifty-year-old Crosby family farmhouse on the corner of Park and Millstone Streets was cluttered with the dead. What should have been gray-toned or sepia photos of Melinda’s ancestors peered from shelves, tabletops, curio cabinets, and almost every available inch of wall space. But the pictures of the deceased had not been left in their original neutral tones — in an attempt to add life to the images, her Great-Aunt Vivian had garishly tinted the people’s faces, clothing, and surroundings with photographic oil paints. But by blessing men, women, and children with red lips, rosy cheeks, and brilliant irises, Aunt Viv had given everyone in the pictures the same unnatural appearance that was found on corpses at an open-casket viewing. The room in the house on the corner of Park and Millstone where Melinda always stayed when she came to visit, had belonged to Aunt Vivian’s mother, Isabelle Worthington. Mel glanced at her Great-Grandmother Belle’s augmented photo on the marble dresser top. She shuddered. If she braided her waist-length coppery hair and pinned it to the top of her head in a bun, Mel would have been a dead-ringer for the long-gone Isabelle. Mel pressed her lips together, lifted her gaze from her great-grandmother’s picture, leaned forward, and checked her mascara for smudging in the wavy glass mirror. Standing behind her and just to the left, Mel thought she glimpsed the blurred image of Isabelle Worthington. She gasped, turned around. There was no one there but the bed draped in a shooting star quilt made by Belle, golden oak furniture laden with Belle’s carefully preserved belongings, the ever-present photographs, and a profusion of evergreen branchlets tucked here and there around the room. Melinda stepped over to the window, watched the snowflakes sail down to the sea of white that covered the lawn, the sidewalks, and the cemetery across the street. Considering the weather, it was lucky most of her mother’s family still resided in the same town where their parents and their parents’ parents had lived, died, and were buried. Other than Mel and her sister and parents, everyone coming tonight for Christmas dinner could walk home if need be. She pulled the lace curtains together as far as possible trying to shut out the wintry scene below. But there was a bundle of greens tied together with red ribbon and bells dangling from the center of the rod, so not only didn’t the curtains close all the way, but her effort at privacy set off a metallic jingling. Like what you’re reading? 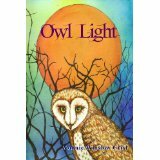 You can check out Owl Light and my other books on Amazon. Last, but certainly not least, an update to yesterday’s Zombie post for you Walking Dead fans — I found a link to a zombie-proof cabin.which just might get you through the Zombie Apocalypse. Only a few more days til HallowRead, then less than a week until Halloween — it’s my favorite time of the year! 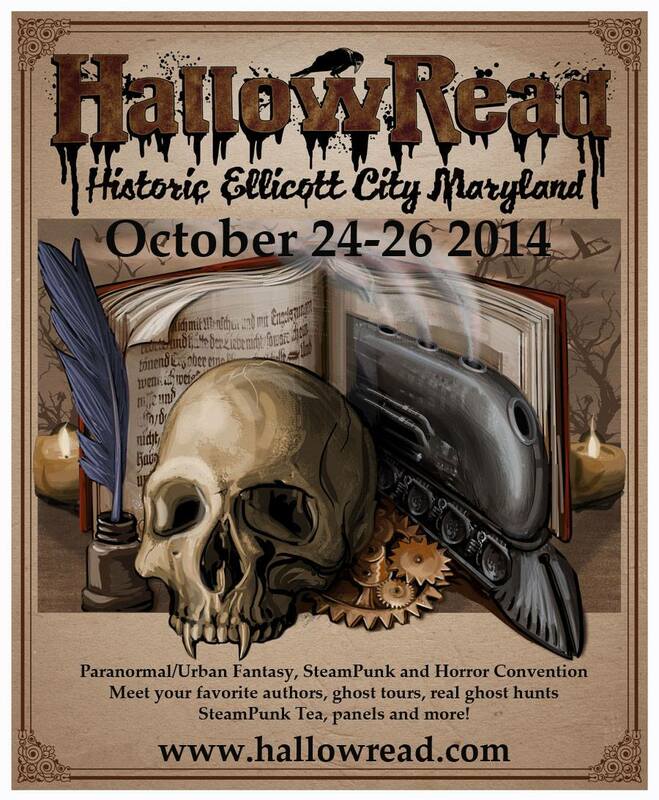 The 2nd annual HallowRead will be held October 24th and 25th in Ellicott City, Maryland. On Saturday, Oct. 25th, I’ll be participating on a couple of panels, visiting with fans of urban fantasy, dark fantasy, horror, steampunk, ghosts, vampires, zombies, etc., and, of course, signing my books. Leading up to this darkly wonderful con, I thought I’d share a few appropriate links, an excerpt from one of my stories, and other HallowReadish odds & ends. As a fan of “The Walking Dead,” I couldn’t resist making my 1st themed post about zombies. Though I must admit, this season of the television show so far has creeped me out. The whole hunter or prey vibe, while it fits the Zombie Apocalypse, is more disturbing than last year’s Governor and crew. To survive a Zombie Apocalypse, you might need a fortress like the one in this link. If you’re thinking of making a zombie video, you’ll need to know about movie make-up and fake blood. And here’s an excerpt of my zombie love story, “The Return of Gunner Kettilson,” 1st published in an issue of Cemetery Moon, then in the Elektrik Milk Bath Press charity anthology, Zombies for a Cure, and lastly, in my dark fantasy story collection, The Greener Forest. 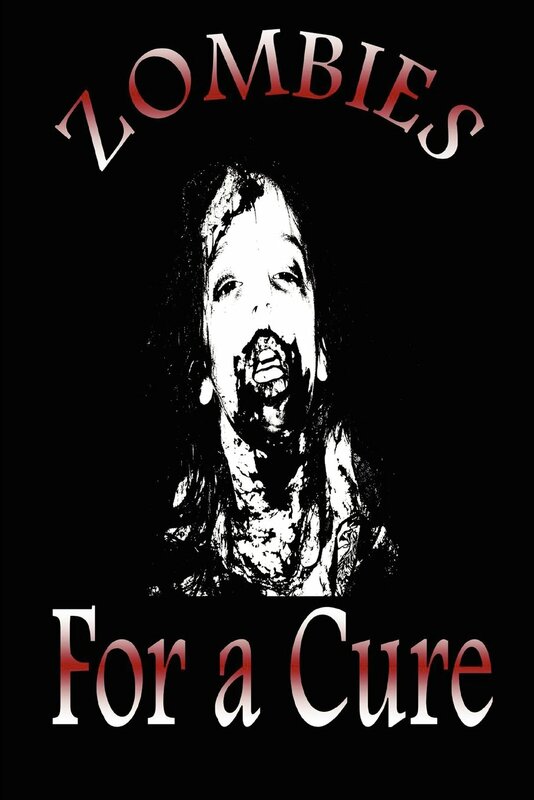 If you’re interested in reading the whole tale, I’ll have copies of The Greener Forest, plus 1 copy of Zombies for a Cure, with me at HallowRead for purchase. Or, you can always go to Amazon and grab a copy. ‘Celia sat straight-backed on an oak bench in her moonlit kitchen with the long-handled ax stretched across her lap. She listened for the shambling footsteps of her husband, Gunnar Kettilson, comforted in small measure by the presence of her great aunt beside her on the bench. “Do you think he will come?” Celia whispered as she rubbed the wooden ax handle with her thumb and wondered if there’d be maggots. “We should light the welcome candle,” said Rona. The white-haired woman set the butcher knife she’d been holding in her right hand on the floor, stood, propped the fire poker from her left hand against the bench, and walked to the fireplace. She withdrew a blazing splinter of wood from the fire. we call you, Gunnar Kettilson. Come home, bitter revenant,” chanted Rona as she lit a solitary white candle balanced in a silver candlestick, and placed it on the windowsill. Celia’s aunt answered her with a tilt of her head and a flutter of her heavily-veined hands. As they sat in silence listening to the seawind in the trees, Celia recalled the somber funeral procession that carried Gunnar up the hill to the cemetery. She’d followed closely behind the casket beside Rona and Gunnar’s father, Lars. The whole village had marched after them. The whole village had to attend, because Lars owned the fish factory, cannery, and most of the fishing ships where the villagers worked. And Lars retaliated against anyone he suspected of not showing sufficient respect to the Kettilson family. Lars had pressed his thin lips together so tightly that they’d turned white, but he hadn’t argued with Rona – for Rona was Fae-Blessed. The old woman was known for her rune-reading, healing herbs, and blessing spells. And Lars would naturally suspect she knew darker magics, too. And lastly, here’s the link to a post which discusses zombies from different world cultures. Enjoy!